i saw this recipe on Sarah's blog a few years ago & have always had it in the back of my mind since then. last week, we went to a local butcher near our apartment and got some of their spicy sausage. i immediately thought of this recipe & decided that we needed to try it with the spicy sausage! but i decided to add some more greens and some herbs cause i love me some herbs! :) it came out super tasty & we are adding it onto our dinner rotation! 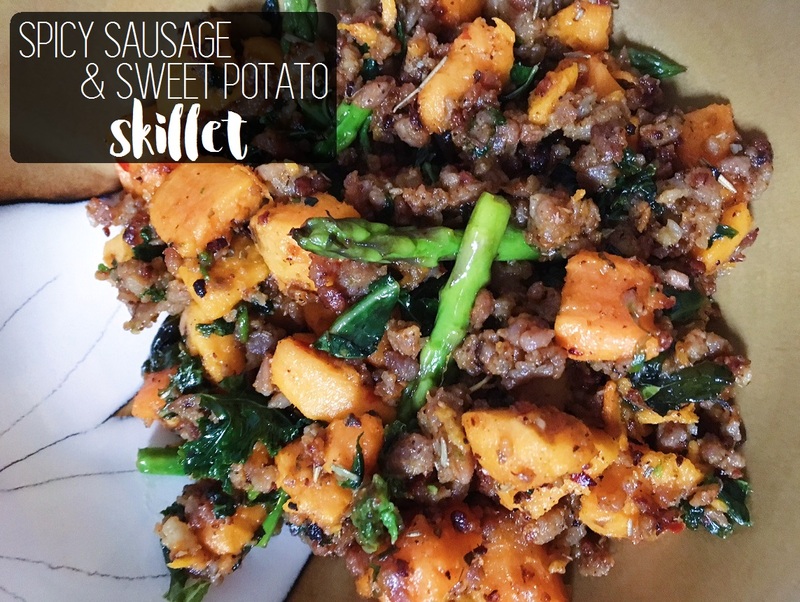 to make it more healthy, we will probably make it with our homemade turkey sausage next time! what are some of your favorite new-to-you recipes?